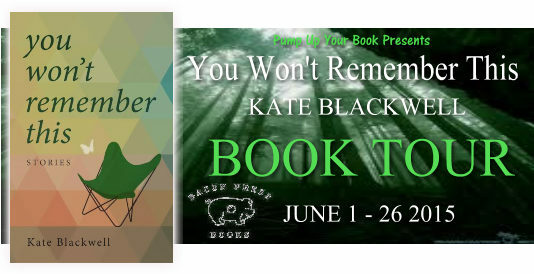 The twelve stories in Kate Blackwell’s debut collection illuminate the lives of men and women who appear as unremarkable as your next-door-neighbor until their lives explode quietly on the page. 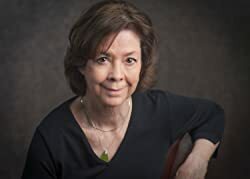 Her wry, often darkly funny voice describes the repressed underside of a range of middle-class characters living in the South. 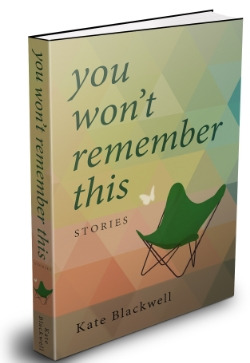 Blackwell’s focus is elemental—on marriage, birth, death, and the entanglements of love at all ages—but her gift is to shine a light on these universal situations with such lucidity, it is as if one has never seen them before. In “My First Wedding,” a twelve-year-old girl attends her cousin’s Deep South wedding, where she discovers both mystery and disillusionment and, in the end, finds she’s not immune to her family’s myth of romantic love. In “Heartbeatland,” when a young woman’s husband dies suddenly, she refuses to sell his Jeep to an importuning gay neighbor. The more she clings to the Jeep—and to the memory of her beloved David—the more he becomes someone she doesn’t recognize. In “Queen of the May,” a former belle looks for ways to assuage her loneliness in her large new house in the empty Carolina sandhills. 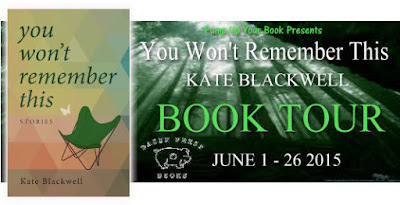 Kate Blackwell began writing fiction after a career in journalism. At first she wrote stories in order to learn how to write novels, but the strategies of the short form proved a pleasure all their own. She fell in love with the challenge of the story: compressing a life into twenty pages, finding the right ending. The twelve stories in her collection, You Won't Remember This, were written over twenty years. The short story "isn't just a short read versus a long one," she says. "I see it as the literary voice of the individual, the solitary, whose pain and longing often go unheard. My stories reveal the inner life of someone I wouldn't otherwise know. What I find is never what I expect." 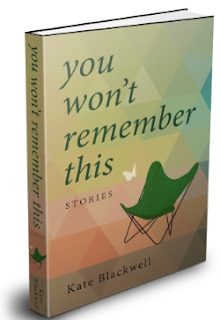 "You Won't Remember This" is in the end a book about memories. As we move from childhood to adulthood, the memories we take with us are sometimes the most insignificant of things. A particular event, a smell or a person that everyone else seems to have forgotten. In a compilation of short stories, the author expertly shares these moments. Personally, reading some of the stories made me think of my own memories so yes, I was definitely sucked in by the author's writing. The stories that appealed to me the most was "My First Wedding" and "Duckie's Okay." The former shares memories of the narrator's first wedding and her own marriage while the latter focuses on a single mother trying to make ends meet. Aside from the theme of memories, the other common component in the stories were that they linked dysfunctional family relationships. The characters are all flawed in their own way which of course brings the reader back to theme of what you will remember about a person. Would I recommend this read? Definitely. Whether you like Southern based American stories or not, this is a book for your heart and soul. Must, must read.